'My body has two lives, the spiritual as well as the physical.' These are the words of Elliot Ndlovu, a traditional healer (sangoma) who lives deep in the Drakensberg Mountains of KwaZulu-Natal. He lives two lives, dividing time between his rural homestead and a world-class hotel and spa, constantly bridging the differences between these opposing worlds. As a young man, he was awoken in the dead of night by an apparition sent by his ancestors. In terror, he fled to a river where he was submerged until sunrise. On the bottom of a riverbed, he claimed to acquire all the knowledge of his cultural heritage to heal bodies and minds. Ndlovu is a natural conservationist and leader who believes in the preservation of indigenous flora, in the strength of community, and in ubuntu, the philosophy that the universal bonds of humanity are what bind us. KwaZulu-Natal's violent path to democracy mirrored his own turbulent journey through mental illness - his uthwasa, the necessary process of suffering to become a traditional healer. But torment and tragedy led to consultations with Oscar nominees in Hollywood, a meeting with the British Queen, and a Christmas visit from a former state president. 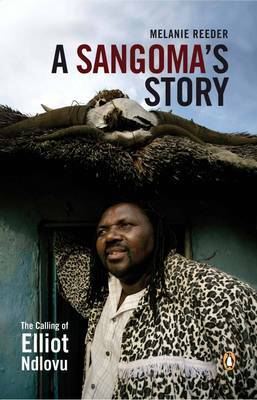 Ndlovu's tales of storm-chasing and magical serpents may be challenging for some, but the poignancy of his story and unwavering belief in African traditional healing are what endear him to the most hardened cynic. Melanie Reeder has captured the essence of this modern sangoma. She sheds light on the beauty of Zulu culture, and clarifies misconceptions about traditional healing.